First, saturate a minimum of three gauze pads with Tru-ACTIVE ClO2 so that it is very wet but not dripping. Second, hold the gauze as seen in the photos. 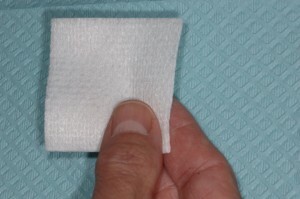 Grasp a corner with your thumb on one side and your two fingers on the other holding the gauze diagonally. Keep your fingers and thumb as close to the corner as you can without losing your grip of the gauze. Third, place 1 saturated gauze at a time, THUMB-SIDE DOWN for best control, on the back of the tongue and scrub forward and side-to-side. 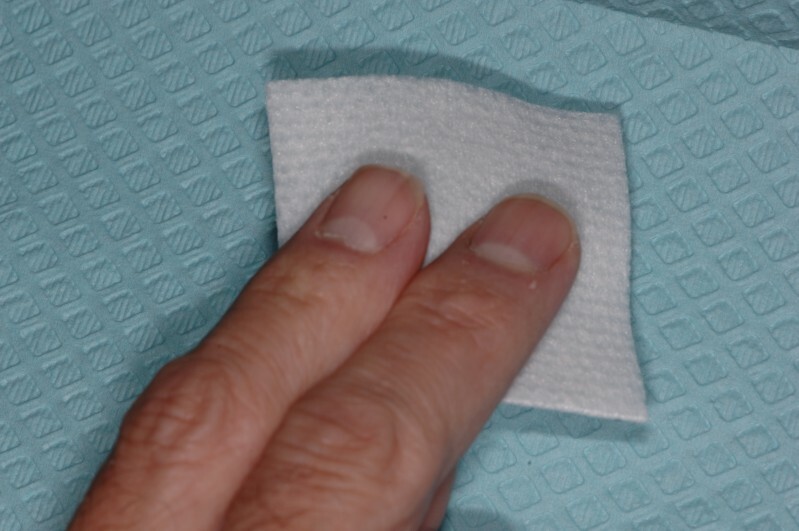 Use each gauze for about 4- 5 scrubbing actions depending on how much tongue coating you have. 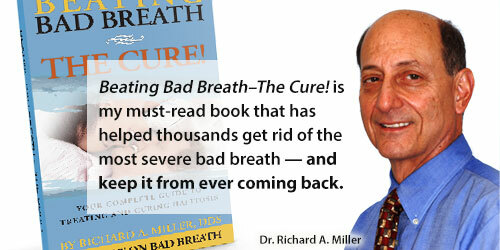 Would you prefer to read Dr. Richard Miller’s TOTAL CURE for bad breath in its entirety? 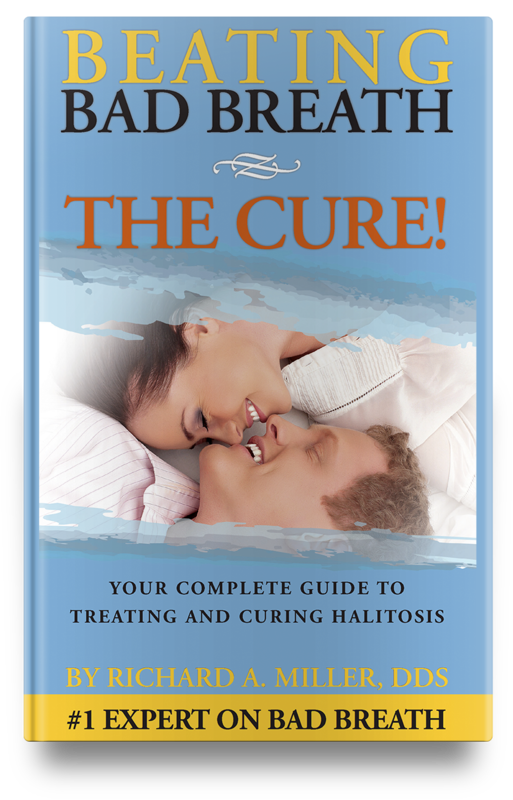 Get your e-book or hardcover copy today!